1. 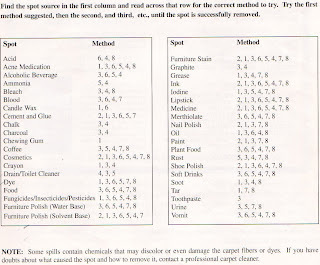 Dry Cleaning Fluid: a nonflammable spot removal liquid available in grocery and hardware stores. 2. 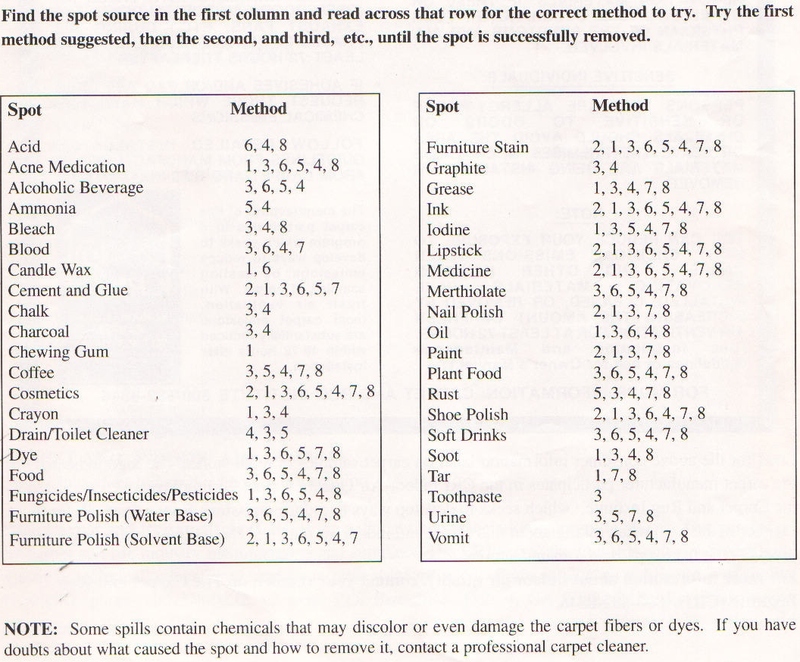 Nail Polish Remover: Amyl Acetate - often has a banana fragrance. Do not use if it contains acetone. 2. Detergent Solution. Mix 2 cups of cold water and 1/8 teaspoon mild liquid detergent (no lanolin, non-bleach). 4. Warm Water: Lukewarm tap water. 5. Vinegar Solution: One part WHITE vinegar to one part water. 6. Ammonia Solution: One Tablespoon household ammonia to one cup water. 7. Spot Removal Kit: Available from retail carpet stores or professional cleaners.